Never having constructed a door before I had to give it some thought.. 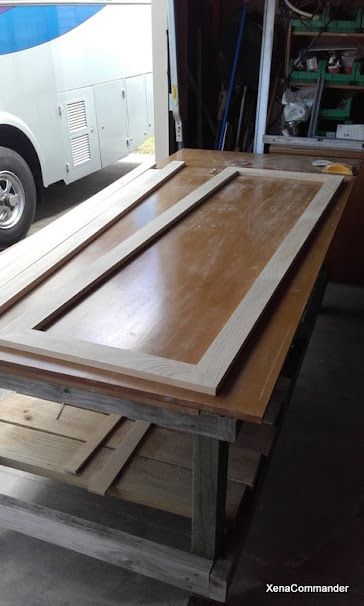 I could of course go to a door manufacturer and buy one off the shelf but the size for a stand house door would not suit the truck.. So I thought I would have a go at building one. The main door cut to size... with the frame done I figured it will need some cross bracing to keep it reasonably rigid.. So I added 3 cross braces.. 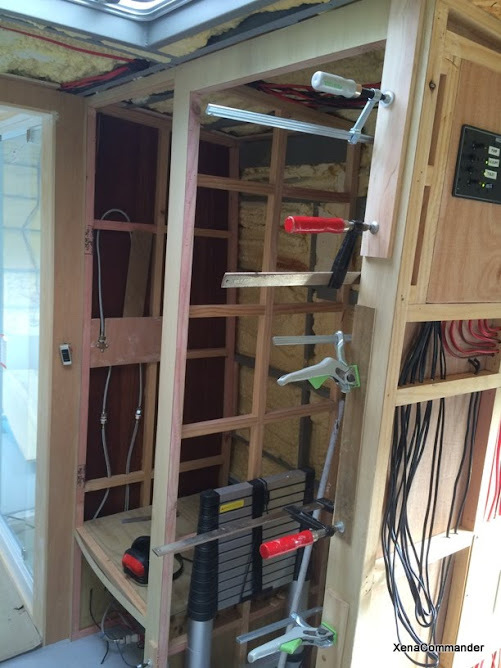 Using the Festool Domino system made things easy to get tight and secure. All rebated... Now the messy job of glueing it together... Once it was glued.. 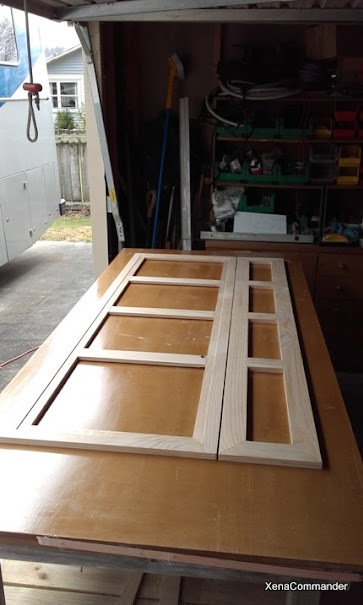 I cut out the extension door..
Extension cut and dry fit.. 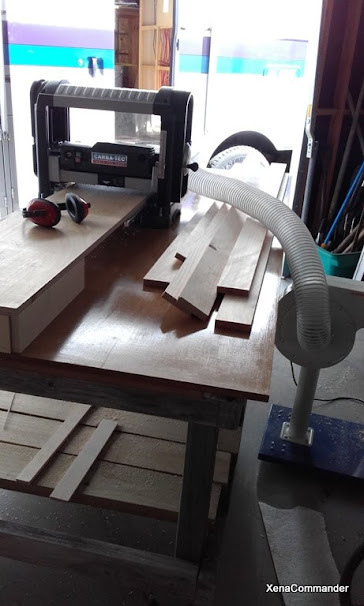 Tomorrow I will rebate and glue it up before heading north again... Work is calling. 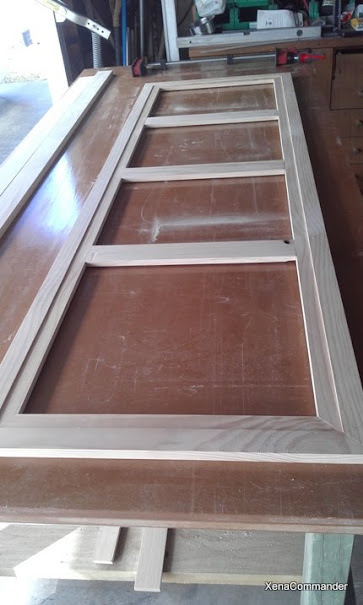 Back from trip to Gympie in QLD... Time to continue with doors... this next bit was tricky... I had to cut the ply exactly to size to fit in the rebate.. easy to say.. not so easy to do... but I cut the sheet slightly oversize then fit then trim.. then fit.. then trim.. then fit... then trim.. until it fit.. of course nothing is exactly square even though it was intended to be... but Murphy doesn't allow exact right angles..!!! 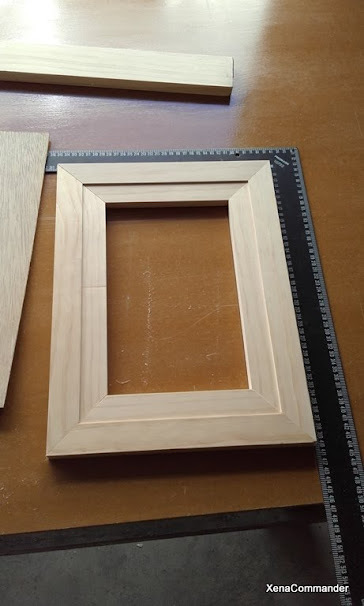 In the mean time I am lining the frames around the fridge space with ply before installing the fridge for final time. Very fiddly but looks better with them on... I have decided to line the outer wall of the fridge space and the ceiling.. I will leave the wall of the shower just in case I have plumbing issues... 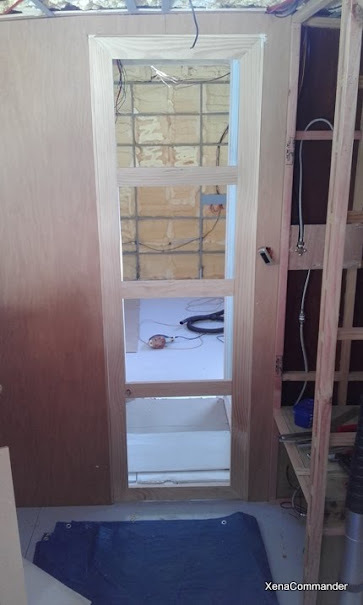 I will panel the other side in the cupboard space and make a removable panel so I can get to the back of the fridge.